Clipping Chix: Walmart.com: Crayola Classic Crayons 24 ct. only 50¢ w/FREE Ship to Store! 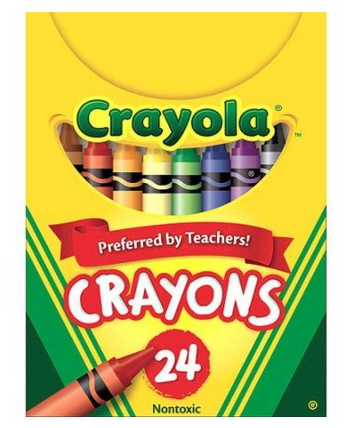 Walmart.com: Crayola Classic Crayons 24 ct. only 50¢ w/FREE Ship to Store! Hurry over to Walmart.com where they currently have these 24-count of Crayola Classic Crayons for only $0.50 (Reg. $2)! You can choose free in-store pick up to snag free shipping. These would make for great stocking stuffers or donation items.